You always want to see the city you are holidaying at also from above? Then check out our list of great lookouts in Vienna. They are especially nice to visit now when the weather is so fine. The highest building in Vienna is the Donauturm. From there you have a wonderful view over Vienna. Moreover, there is a café and restaurant; both of them are rotating in order for you the have an alternating view while you are enjoying your food. A nice walking area and for a Viennese a typical destination for a Sunday trip is the Lainzer Tiergarten. There are great observation points such as the Wiener Blick and the Hubertuswarte. If you are a wine lover, then you should walk around Kahlenberg for having a beautiful view over Vienna and enjoying a nice glass of wine at one of the many Heurigen. Take a ride with the Giant Ferris Wheel and enjoy a wonderful view over the city. To get a look over the inner city of Vienna, you can either take the elevator (North Tower) or stairs (South Tower) up. 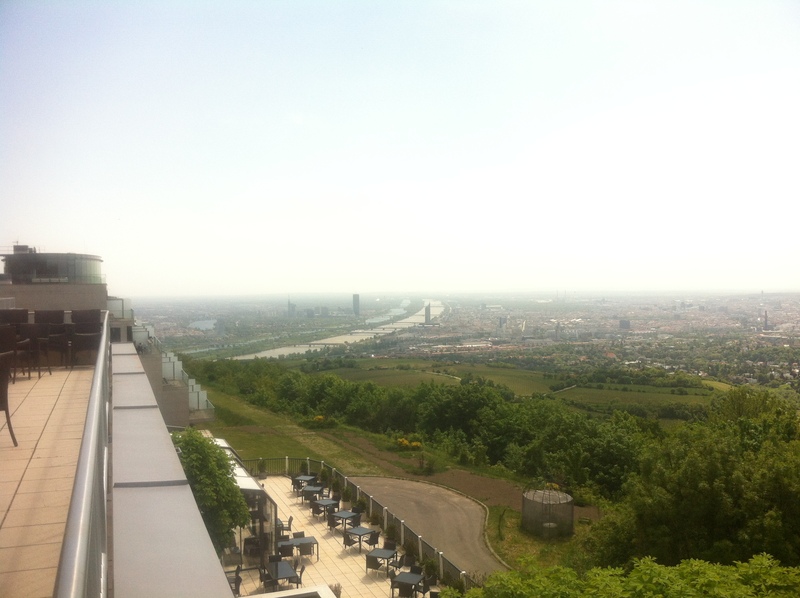 Nearly as high as the Donauturm, the DC tower terrace offers a great view over Vienna as well.